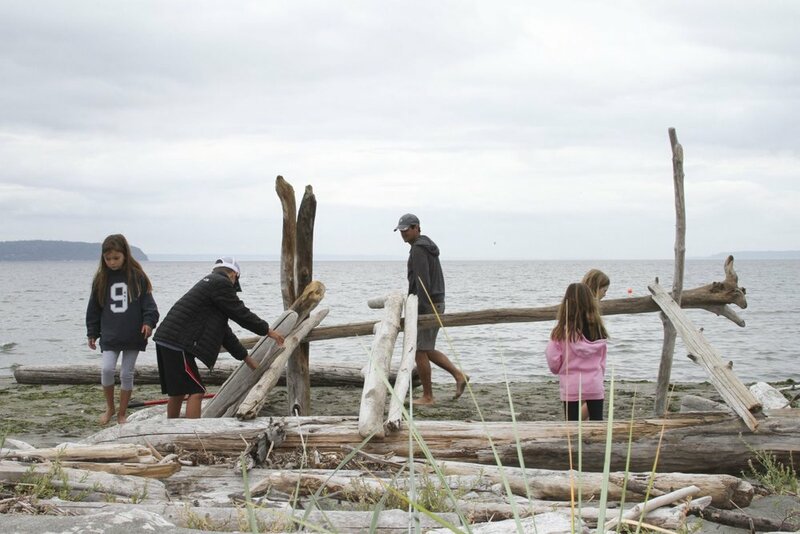 The Seattle Cascades are hosting a 4-day youth ultimate camp at Fort Casey on Whidbey Island. 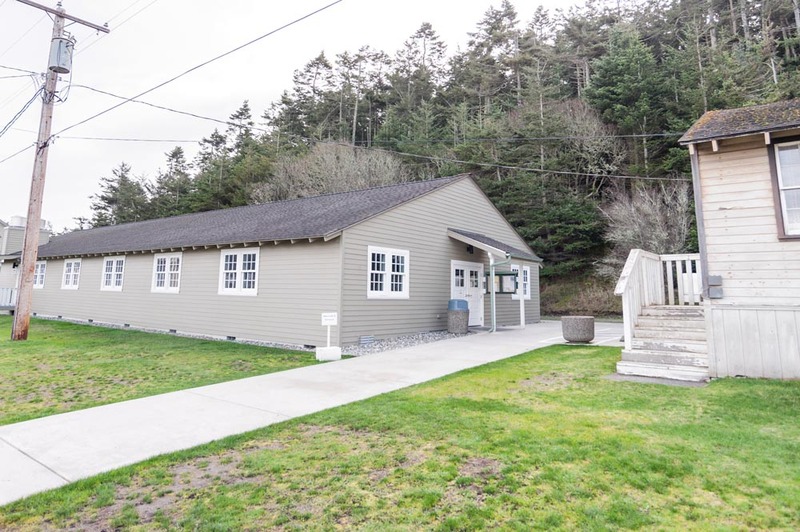 Kids will sleep in the bunk rooms, and eat in the Camp Casey cafeteria. Over the course of the camp, we will offer a variety of ultimate training sessions suitable for different levels of play, so all experience levels are encouraged to attend. Beginners focus on solidifying skills, fundamental strategies, and spirited play. 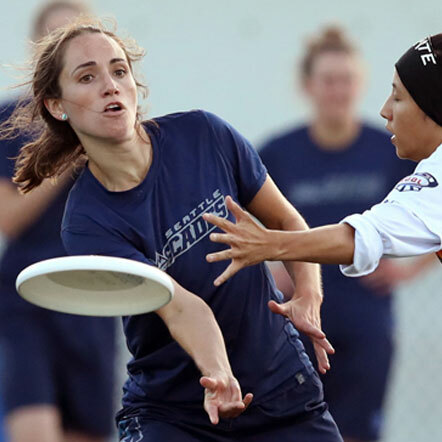 Experienced players have opportunities to engage in intermediate and advanced ultimate tactics, in addition to refining skills, practicing SOTG, and making friends! Sessions will include a strength & agility component and each day will include multiple scrimmages. Registration is open to students entering 6th grade up to students entering 11th grade. 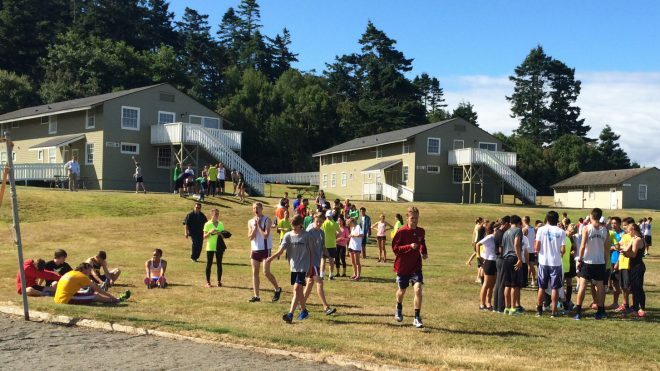 We are designating an equal number of registration spots for young female and male athletes. We communicate primarily by email, but if you’d like to talk on the phone, we can arrange a time to talk. Pricing: Pricing depends on when you register. Pre-registration is required, and spots will be filled on a first come basis. We will not accept walk-up registrations. Every player must have completed paperwork in order to participate in Cascades Camp. 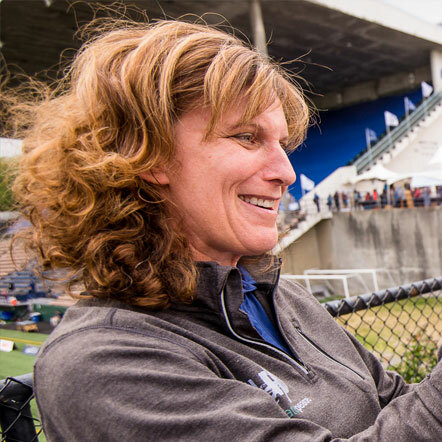 Please email completed paperwork to Monica <monica@seattlecascades.com> or mail it to Seattle Cascades / 2610 Western Ave / Seattle, WA 98121. When you arrive at Cascades Camp on Sunday, we'll check kids in one by one (12pm-1pm) and answer any questions that friends & family may have. Kids will be supervised from that point until they are picked up at the end of Cascades Camp on Wednesday (3pm-5pm). Breakfast: Scrambled eggs, hash brown potatoes, bacon, banana bread, oatmeal, grits, cold cereal, fresh fruit, juice, milk, coffee, or tea. Lunch: Tacos, beans and rice, salad bar, minestrone soup, fresh fruit, lemon bars, juice, soda, milk. 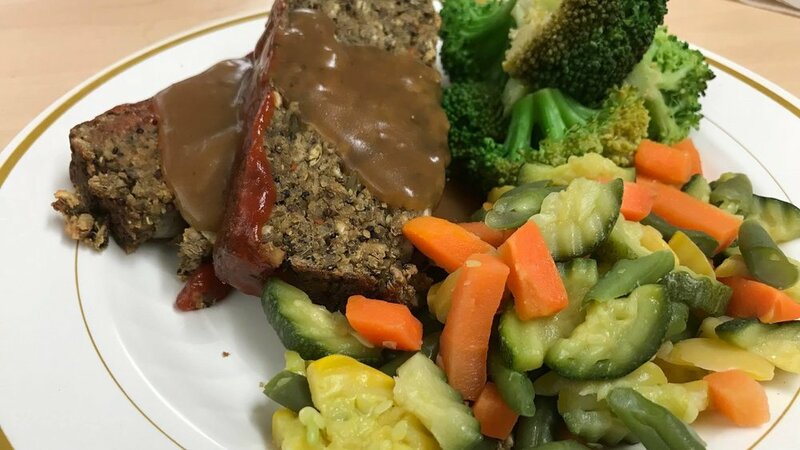 Dinner: Oven-fried chicken, mashed potatoes and gravy, green beans, buttermilk biscuit, salad bar, fresh fruit, apple crisp, juice, soda, milk. Players will sleep in bunkrooms. There will be a “girls” floor and a “boys” floor, or potentially two different buildings. Every player will have their own twin matress on either the top or bottom of a bunk bed. They’ll get a pair of drawers to store belongings, plus additional space under the beds if needed. 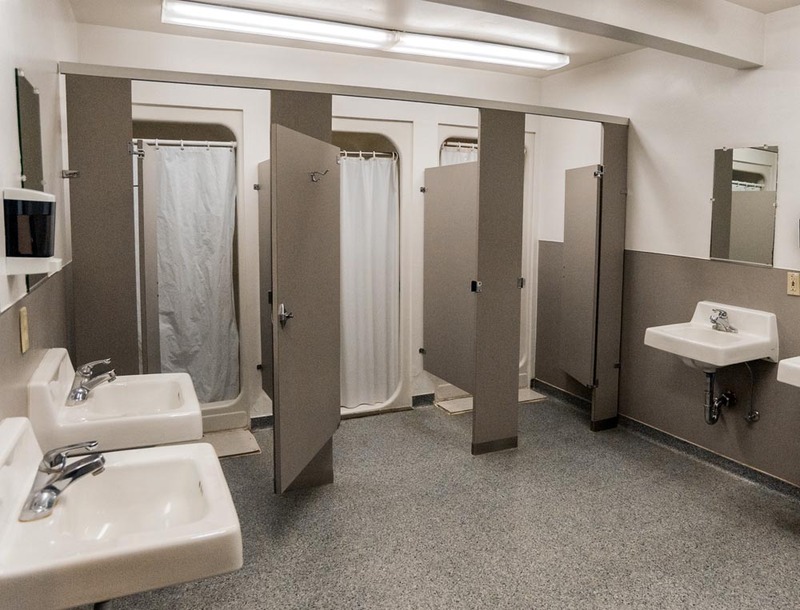 One or two camp counselors will sleep on the same floor as the players, and they will be accessible during the night, in case a problem arises. The bunk room doors will be locked from the inside. - Cleats for playing ultimate on grass. - Tennis shoes suitable for walking in the woods and on the beach. - Three sets of clothes for ultimate. - Three sets of clothes for non-ultimate activities. - A pair of pants and a jacket/sweatshirt. - Sleeping bag or bedding. In addition to playing ultimate, there will be plenty of fun activities. Adventure to the beach! Build forts! Indoor time: group viewing of Cascades game footage. 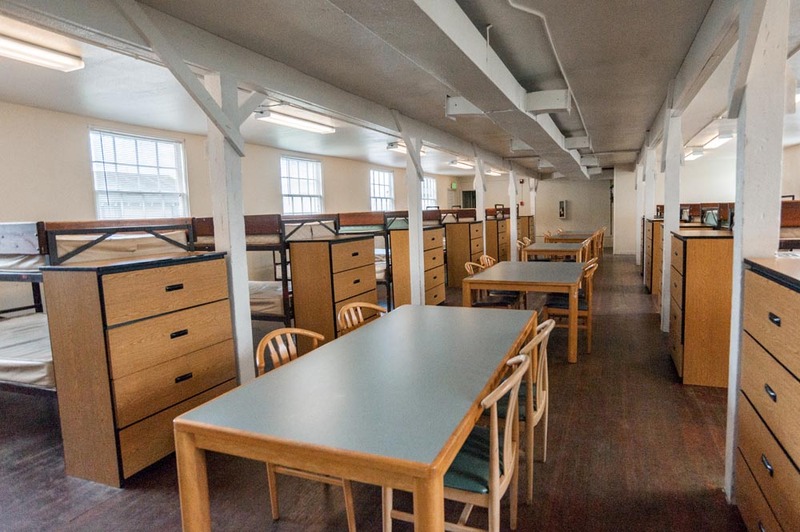 Free time: rest up in the bunk rooms, hang out on the lawn, board games in the common room, etc. 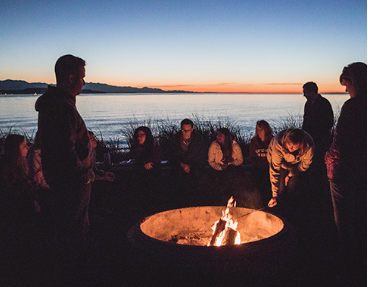 Bonfire at the designated fire pit… and storytelling! 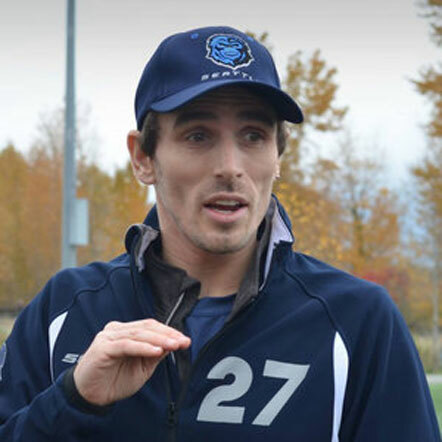 All activities will be supervises by a friendly Cascades Camp counselor. 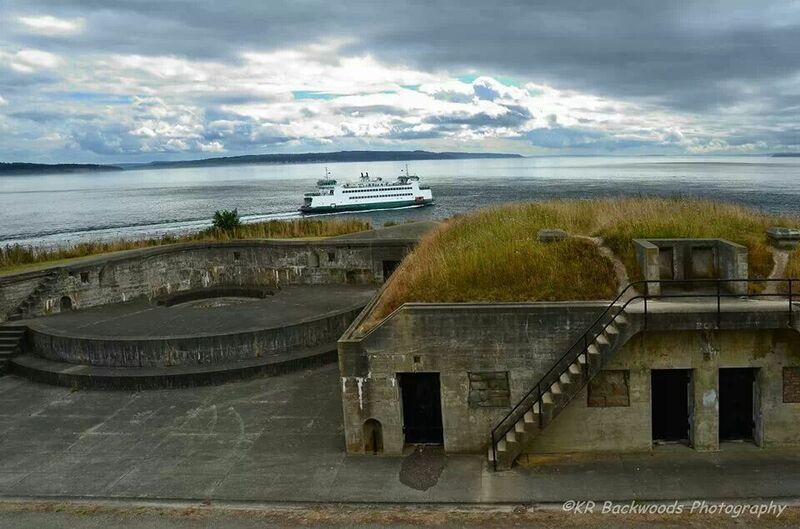 Driving from Seattle to Fort Casey takes around two hours, including a 20-minute ferry ride ($17). There’s an alternate route via Burlington that skips the ferry and takes an additional ~30 minutes. Carpooling is a great way to save gas and make friends! We will collect requests for rides (and offers to give rides) via the registration form, and we’ll help you all connect. We recommend that drivers plan on meeting somewhere central (eg the UW Light Rail station) on June 30th, at 8:30am. 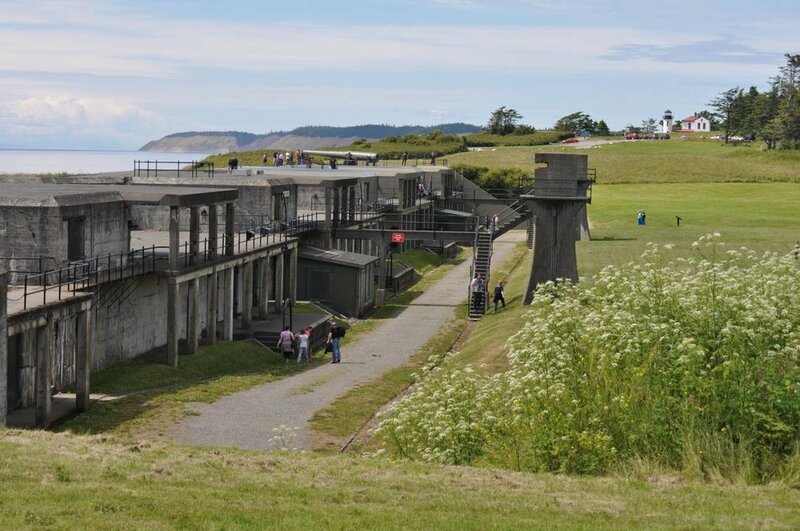 Cascades Camp will be held at Fort Casey on Whidbey Island.